Protect three electronic devices or appliances and charge two mobile devices with the Belkin Surge Protector with Cradle. 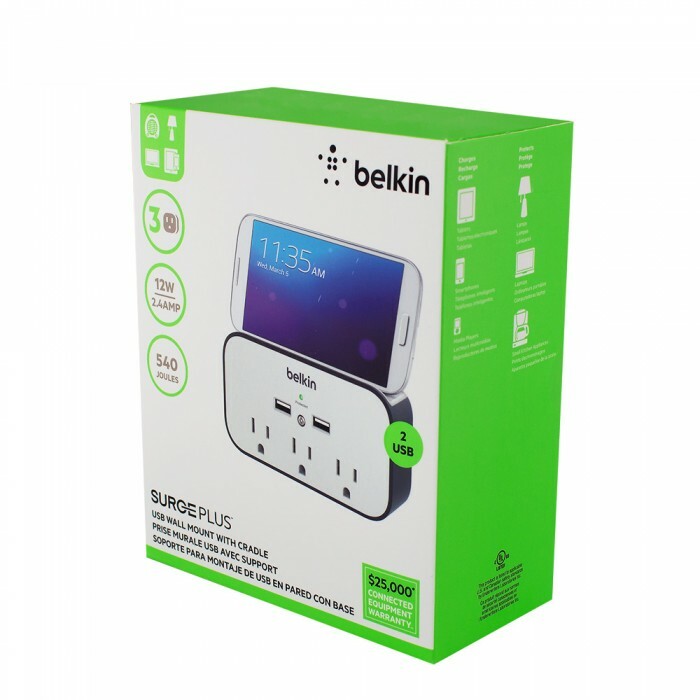 The surge protector plugs into any AC outlet in your home or office and even features a ledge to display or store your smartphone or media player. 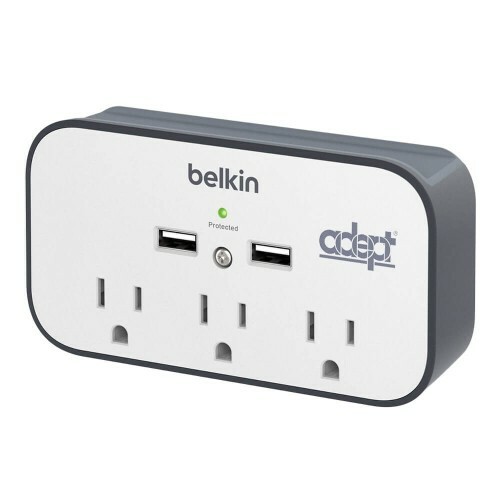 Secure a laptop, lamp, or small kitchen appliance by connecting it to the surge protector. 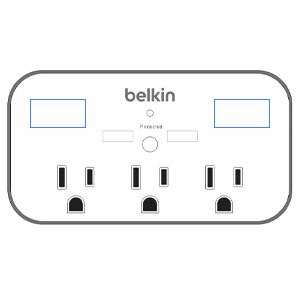 Three grounded outlets are rated at 540 joules and defend against electrical spikes. 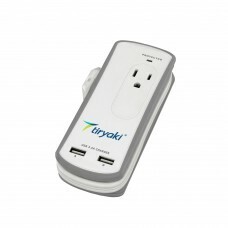 The green indicator light tells you the surge protector is working, and your devices and appliances are protected. 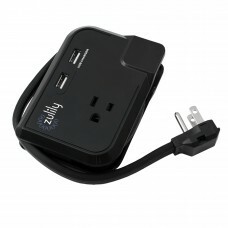 The surge protector's two USB ports charge a wide range of mobile devices from smartphones to tablets to media players. And with 2.4 Amps of shared power, the ports charge more quickly than traditional USB ports. 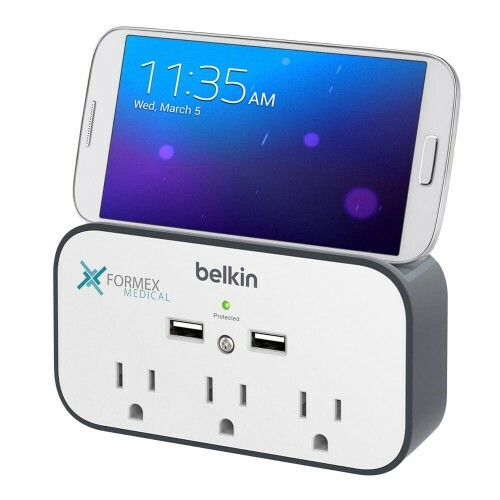 Keep your smartphone, tablet, or media player off the counter or the floor by displaying it on the surge protector's convenient cradle ledge. Size: 5 3/8L" x 1 3/8W" x 2 7/8H"
4 Color Process - $1.88(G)/pc. Carton/Dimensions: 7L" x 6W" x 8H"